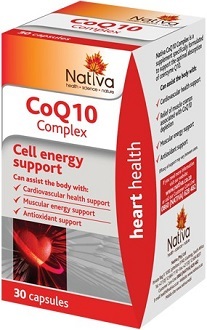 Nativa CoQ10 Complex is a supplement that promises to improve your energy levels and protect your heart health. 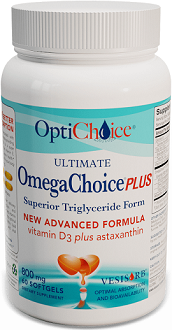 The manufacturer states that it is especially effective in people who take statin drugs for cholesterol. We examine of these claims by having a close look at the relevant features of this product. Ubiquinone is an important molecule in everyday life that is naturally synthesized by the body. There are various reasons it may decline with time such as age and dietary choices. The idea behind taking extra ubiquinone is that it boosts levels of it in the body to be absorbed into the cells and used in the production of energy. Ubiquinone features in the third phase of energy production in the cell which generates up to 95% of its energy. It’s quite reasonable to say then, that we could not survive without ubiquinone. Another function it has is to absorb all the stray electrons that come along with free radicals. Free radicals are harsh and dangerous chemicals that are generated by metabolism and absorbed from the environment and destroy cell membranes and cause inflammation. When they are instead reacted with by antioxidants like ubiquinone, then they cannot damage the cell. Reduced inflammation leads to the reduced chance of developing certain diseases like cardiovascular disease. Nativa CoQ10 Complex is delivered in a capsule form. Customers may take one capsule a day after a meal with a glass of water. 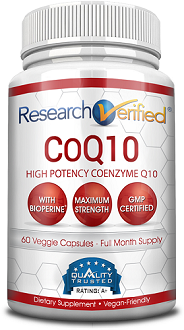 Each capsule contains 150 mg of coenzyme Q10. This is 100 mg below the scientifically recommended dosage. It is not recommended for customers to exceed the daily dosage, according to the manufacturer. At the time of the writing of this review the price of Nativa CoQ10 Complex is $12.83. This price is for 30 capsules of the supplement. This manufacturer does not offer any options for a discount if the customer buys more packages. We could not find any evidence of a guarantee for this product. This suggests to us that the manufacturer is not as confident in their claims as they initially appear to be. Instead, they are shifting the risk to the customer if their product doesn’t work. There are also no customer reviews for this product despite the fact that the manufacturer does provide a space for them on their website. Therefore, there isn’t much evidence to say that someone has used this product successfully before. The science behind the ingredients included in this product is quite clear and conclusive. 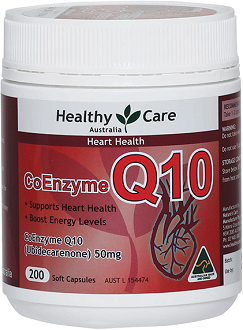 The problem with this supplement is that they just don’t have enough coenzyme Q10 which means it may end up being ineffective. Another problem is that this manufacturer doesn’t offer any guarantee which means customers take a huge risk when purchasing the product. The price of the supplement is reasonable but it would be better if the manufacturer offered some sort of discount. The product is not terrible but customers may find better ones out there.